True-to-spec 15°F of added warmth and lightweight make this bag liner a winner. It's better than my old silk bag liner in that it's lighter and the moths don't like it. I'll start by saying this doesn't seem to be a true "mummy" liner in that it doesn't have the traditionally small mummy footbox. That really doesn't matter — what matters most is that it's warm! In fact, I can't believe how warm it is and I'd swear it adds more that 15° F to your bag. Without going back to a less expensive (and super-bulky) fleece liner, I figured I'd have to pay at least $50 for a synthetic liner and even more if I wanted silk again. While I hated to spend that much, I know I'm a cold sleeper and I wouldn't dare go into the backcountry without something more than my bag. When I first crawled into this liner I thought I'd made a terrible mistake. Compared to my silk liner, it felt like there was absolutely nothing to it and I fully expected to put a foot or arm through on my first night. I wasn't wearing a base layer and I fully expected to feel the cold of my bag through this liner, but it was instant warmth! And it was tough!! And it was too warm in my bag even though the temps dropped below freezing!!! I couldn't believe it. I wouldn't try to get into this liner while it's in your bag, especially if you're wearing a base layer to bed. It's almost like a very fine microfiber and has a tendency to stick to any material that isn't completely smooth. But it's warm, and it's lightweight, and it feels good against bare skin, and it's durable! I'm one of those guys who believes almost no product deserves 5 stars, but this one has earned it. 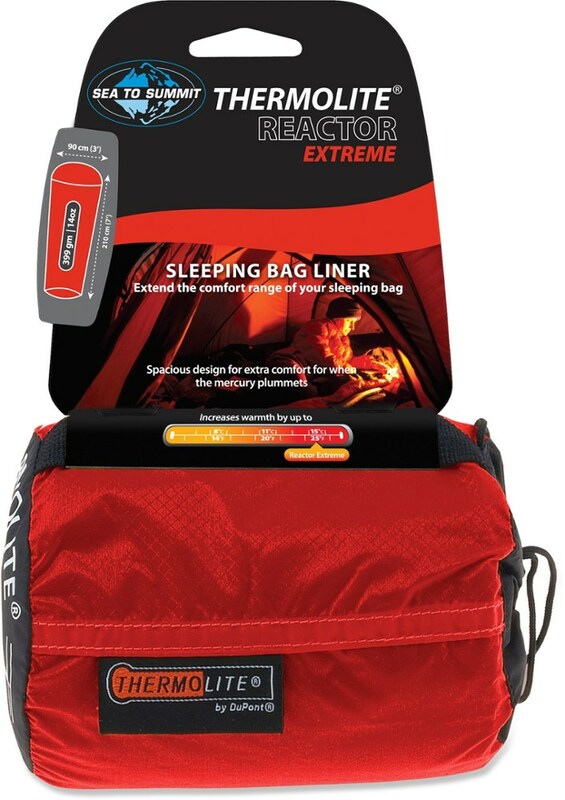 It's not the lowest price (or highest) you'll pay for a bag liner, but it's well worth every penny you spend to not lay there shivering all night long! Who doesn't want to push their gear a little without having to purchase another sleeping bag? Adding 15° to your setup just may keep you from adding another bag. If that's your goal and you want an additional warm weather option you might think the Reactor will work for you. In my experience the Reactor falls well short of the advertised performance. Being a budget conscious guy I really wanted the Reactor to work to extend my hammock TQ to the 20's and give me a stand-alone option in the 60s, which a product should do if it adds 15° to your bag. After all I sleep best at about 70 with a thin silk sheet at home. 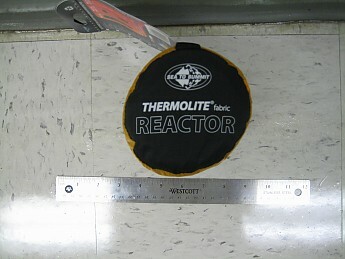 The warmth the Reactor add is only achieved when it is used with a top cover of some sorts due to the extreme breathe-ability of the material. In fact the material is more like an elaborate web of thread very loosely weaved together than a piece of cloth. While it does add a little warmth to a bag or quilt the added benefit falls well short of the advertised gains and far short of providing value close to the cost of the product. As for a stand-alone warm weather option, the Reactor simply is not the product for that application in my opinion and experience. If you are looking for a product to extend your gear a little this winter with the cold forecast temperatures I believe you would be best served by looking for another product like the Columbia Omni-Heat liner I reviewed recently. I really hate to offer a negative review, but with this winter's forecast and my personal experience with this product that is advertised to offer significant warmth it just seems appropriate to share my experience with this piece of gear for a very reputable company that I quite seriously admire and esteem very highly. I own several of their products and absolutely love them. I purchased the liner at retail from REI and returned it last March after repeated attempts to find a use for the liner. With the structure of the liner I believe the product would not be a durable one as a snag would seem to be a potential catastrophic event, possibly rendering the product unusable. I only used the product in my backyard test area in my hammock in temps that ranged from 45° to about 65°, it never produced desirable results and hence never earned a spot in my pack to the field. Enjoy your winter trips this year and if you choose to roll the dice on this try it out before you put yourself in a spot you have to rely on it for warmth. Bonus tip most of you probably already know: Adding hot water to your water bottle and placing that bottle in a sock near your femoral artery will add much warmth if you get caught out in the cold this winter in conditions you didn't expect. I would comment that any liner that purports to add a certain number of degrees is somewhat misleading in that heat flows proportionate to the square of the difference in temperature, so if it adds 15 degrees at 32, it will add much less at 0 i.e. you couldn't use 4 of these to take your 0 degree bag to -60. Having said that, I have one of these and it does help. Agreed but IMO and experience it is limited. And being a hammock guy this just falls too short. My bag liner was one of the biggest wastes of money I ever spent. I didn't even care for it when I was a tent sleeper. So this is not a good solution for a hammock blanket? I was hoping it would work in place of my sleeping bag in 60-70 degree Texas temps. It is a fairly open weave, so not great by itself as a breeze will go though it. Also it doesn't open very far down, so it might be a little difficult to wiggle into in a hammock. 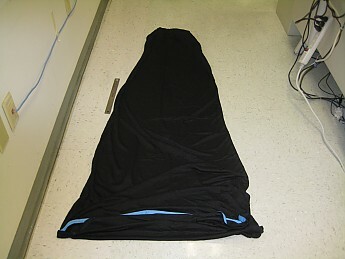 This is my first Sea to Summit sleeping bag liner. I just got it so I can't give you any feedback yet. Wait until the predicted BLIZZARD hits in February (Old Farmers Almanac) at which time I will edit my results. On the label, it says that there are other temperature ranges available. Too late. I have the regular one now and it's going inside my Coleman, period. My old liner from Campmor lives in my 0 degree synthetic Coleman bag. 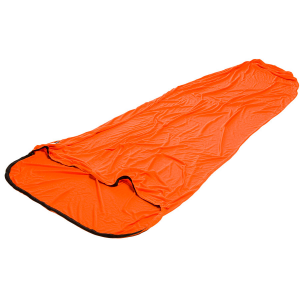 My other liner from REI lives in my orange down EMS simmer down sleeping bag. Hi Boo, Can you tell us more about your experience sleeping out with this liner and how well it performs? An excellent addition for a 3-season sleeping bag to convert it for cooler temperatures and at altitude. 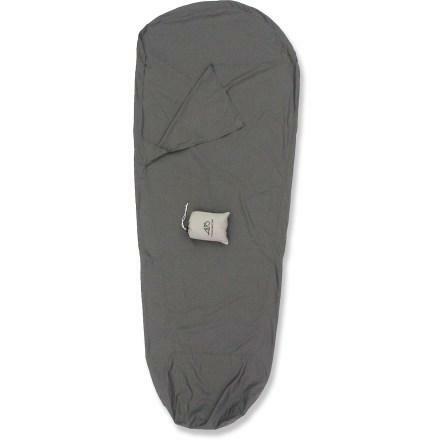 It is lightweight and compact and works perfectly for late spring camping in the mountains. This lines worked perfectly in my North Face 40-degree bag to ensure comfort and warmth while backpacking in early June in elevations ranging from 8,500 to 11,000 feet. The length was just right and provided sufficient width for normal movement during sleep. It added at least 5-8 degrees of warmth which helped when the temps dipped into the lower 30s at night. It comes with a handy stuff sack in the event you want to remove the liner from the bag after each nightly use. It is lightweight as it hardly added any weight and did not present an issue when left in the sleeping bag and the bag was stuffed in its compression sack. Wide opening top affords room for arms. 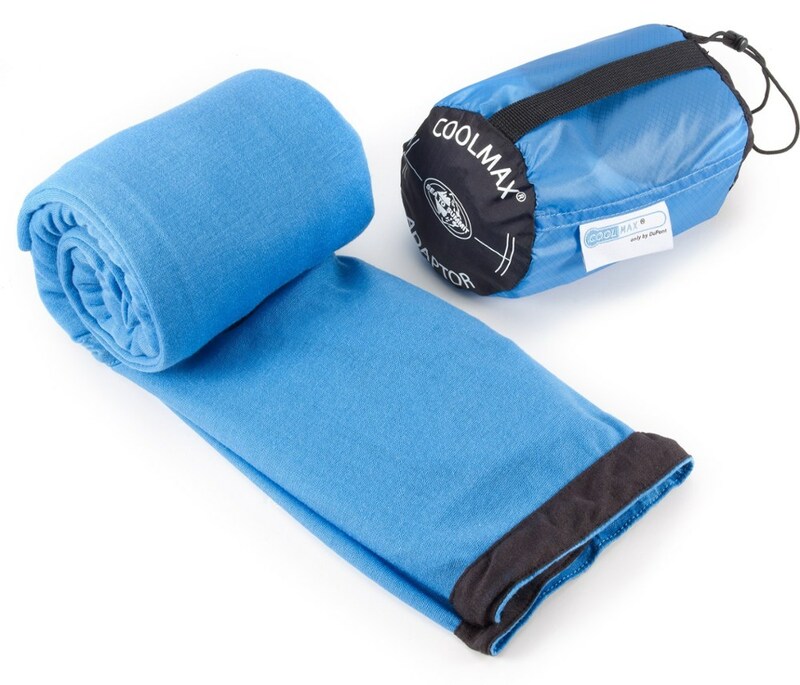 The liner does tend to stick to the body, if the temps are warmer, however it allows the user to move freely inside the sleeping bag despite the body getting warm and slightly sweating. Overall it was the perfect fit for a 10-day backpacking experience. While the price is a bit high, at around $53, it is worth every penny! 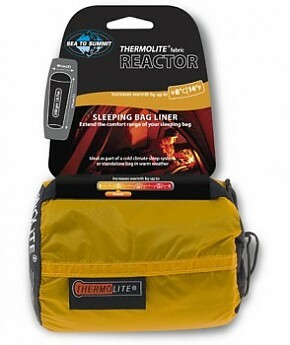 Warm bag liner for backpacking or traveling. I like this bag liner. It's tough and it's warm. 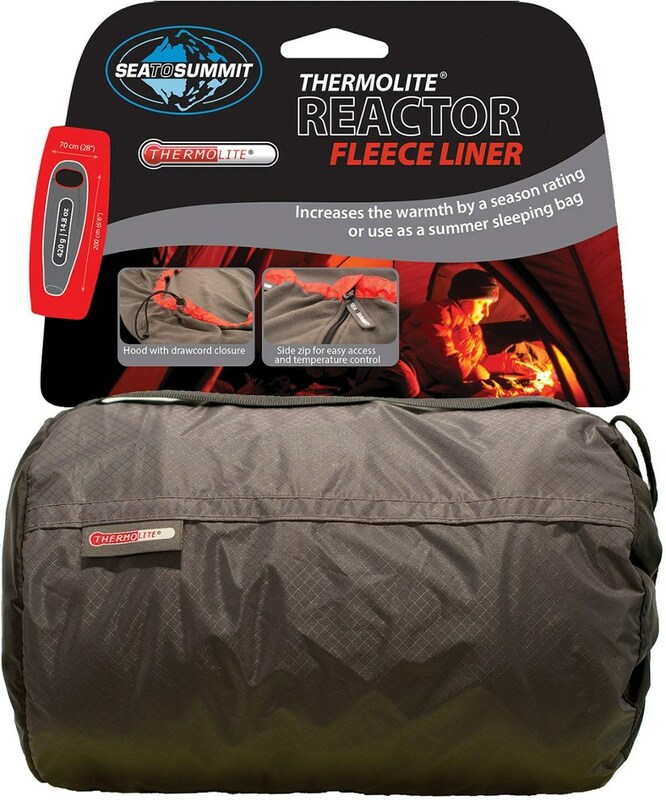 I have used this on many occasions, and it has definitely extended my sleeping bag's comfort zone well into the shoulder seasons. It also makes ventilation easier in a sleeping bag: with this on, you can unzip the bag a little more to get air, without also getting a chill. One of my few complaints about it are that the material gets along too well with baselayers. It slides easily around inside the bag, which is great. And it slides easily enough on skin, also great. But if, like me, you usually sleep with some base layers on, the sliding stops and the bunching begins. So it takes a few moments to get fully situated in the thing once you get started. My other complaint is that it's narrow at the top. Might be my problem because I'm fairly broad in the shoulders, but if I snuggle all the way down into this thing, I feel trapped Very warm to be sure, but constricted. Summary: A good piece of kit that does what it advertises, with minor flaws. This thing will add warmth and extend the life of your sleeping bag. This thing always goes with me, no matter which sleeping bag I'm using, because it adds the extra warmth or helps regulate my sleeping comfort temperature. It also does a great job in keeping my body odor or oils from getting on to a very expensive bag and thus extending the life of your sleeping bags. This thing is awesome! I use it as a liner in all my sleeping bags to keep the clammy nylon feel off of my skin. It also lets you sleep most of the night with the bag unzipped if the nights are unexpectedly hot. Picked one of these up from REI. Nice little liner. - Comes with compact, silicone-lined stuff sack. - Says "mummy" style, and it is, but it is a wide mummy on the foot end, allowing some movement. This could be a pro or con depending on how you view it. It was a pro for me because I have a rectangular bag - this liner allows some freedom of movement in the foot area. This thing is great and unbelievably warm for the size and weight... I carry it in the late fall and early spring to extend my 20 degree bag's range. On nights when I don't need the extra warmth I roll this liner into a fluffed up ball and tie it inside a bandana to make *THE MOST COMFORTABLE* backpacking pillow in the world. In the summer it makes a great lightweight quilt, and it can be used while traveling in hostels too. cons: a bit pricey, and feels somewhat fragile (though it hasn't ripped yet).